Ever tried to focus on including more of one kind of food into your diet? I’ve been trying to eat more shrimp, but sometimes I run out of easy ways to incorporate it. Enter couscous! 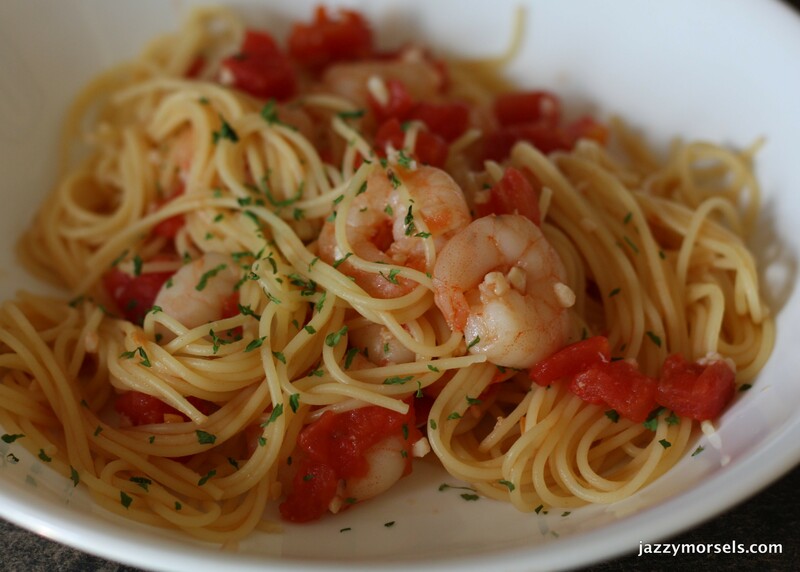 I’ve done shrimp with pasta, but never couscous. They pair very well together! Shrimp being a seafood, I thought a song about the sea would be a good choice for today! Take a listen to “Beyond the Sea” sung by Bobby Darin. Combine in a large bowl 2 teaspoons olive oil, red pepper flakes, cayenne pepper, black pepper, kosher salt, fresh basil, and 1 minced garlic clove. 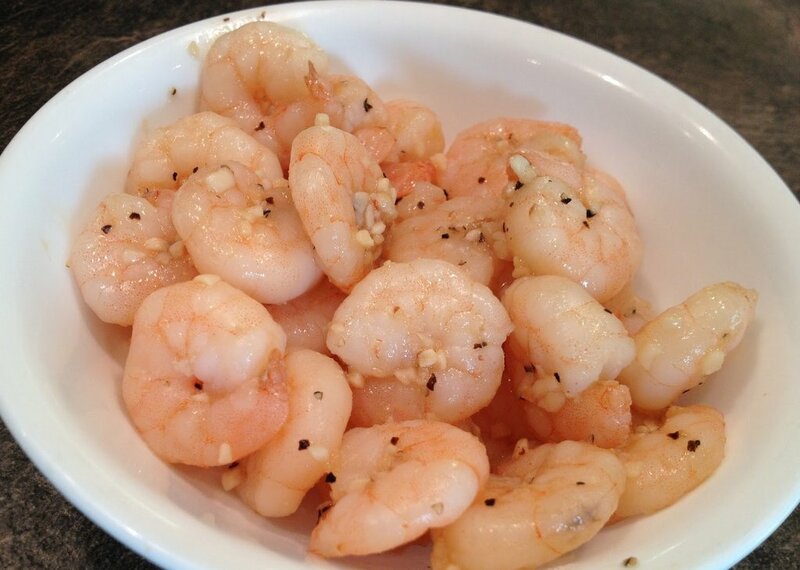 If shrimp is frozen, place in a colander and run cold water over it for 5 minutes to thaw. Toss thawed shrimp in olive oil spiced mixture. Set aside. In a large frying pan, put remaining half teaspoon olive oil and remaining minced garlic clove. Sauté over medium heat for a couple of minutes, stirring. Cut broccoli and cauliflower into bite-size pieces. Add broccoli, cauliflower and 2 tablespoons white grape juice to garlic. Reduce heat to low and cover. Simmer for 5 minutes or until broccoli and cauliflower are slightly under cooked. In a large sauce pan, put couscous, chicken bouillon cube, almonds, 1/4 cup white grape juice and 3/4 cup water. Over medium heat bring to boil, stirring. Remove from heat and cover. In another large frying pan over medium high heat, sauté shrimp for 3-4 minutes until pink and cooked. 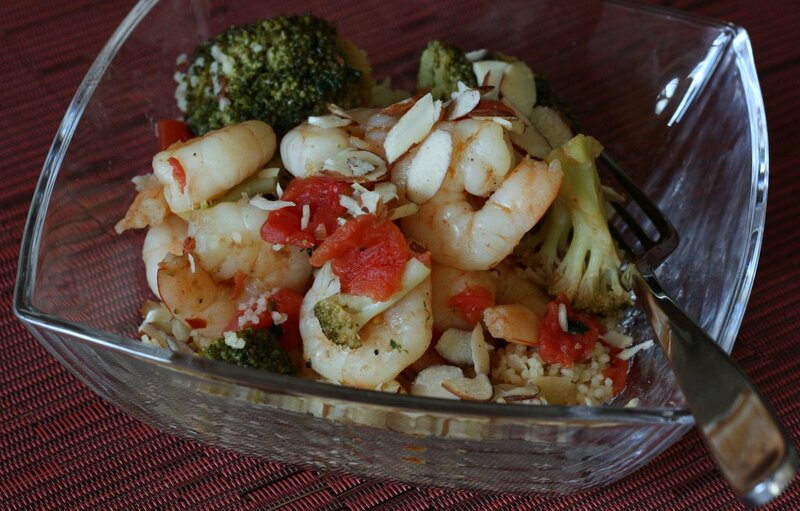 Add shrimp immediately to garlic, broccoli and cauliflower mixture. Toss. Add drained tomatoes. Stir over low heat for 1-2 minutes covered to warm the tomatoes. Serve shrimp and vegetables over couscous or toss together to combine and serve.